Every time I log on my computer I have over 200 temp language files from Webroot to remove . issue hasn't caused me any problems that I am aware of, other than being a NUISANCE. isolated problem. Perhaps this goes unnoticed by some of the less-observant users. Is there anything that we can do to stop all these temp files from recurring? Can you please provide the path where you are seeing those temp files? I know there for the Password Manager. Remember, I re-installed WSA over the weekend on a fresh WIndows install. I had a couple issues getting my PW Manager working right, so I did run the toolbarfix.exe utility, though I do not know if that affected the files on my computer. I hope this helps answer the question Daniel? Here is a snapshot from my other laptop. Woah.. that is a lot of temp files there on your other computer Daniel! languages listed in all of these folders below! But they arent from Webroot? Yes they are! Webroot Password Manager based off of Lastpass and just rebranded. languages(language code) e.g.- zh_CN or other language code per file entry. I have traced the "lptmp" to the Webroot Directory, so I know these files originate there. Hello ? I have posted a Feature Request (idea) here: https://community.webroot.com/t5/Ideas-Exchange/Added-capabilities-for-deletion-of-excess-and-redundant-files/idi-p/220668 which includes asking for possibility to delete these more easily. You may wish to add comments to it, or kudo it. Hi I deleted 700MB (!) 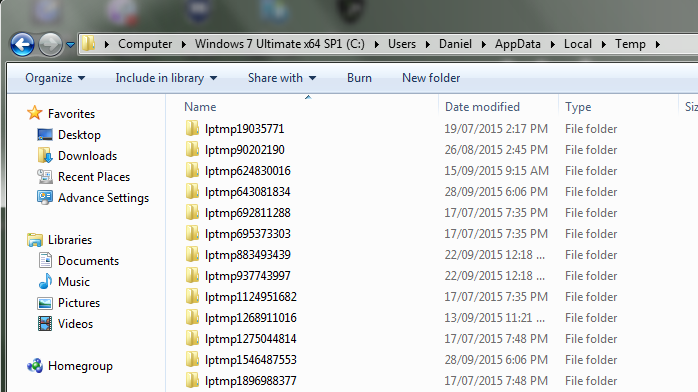 of lptmp files from my Win 7 machine yesterday. I use Internet Security Plus only to secure my smartphone and tablet and don't use the (LastPass) password manager (let alone all languages). A serious waste of space! That on top of the 46.7GB my WRData folder grew to yesterday (fixed for the n'th time after a whitelisting request to Support). I like WSA but these space issues are a major flaw IMO. 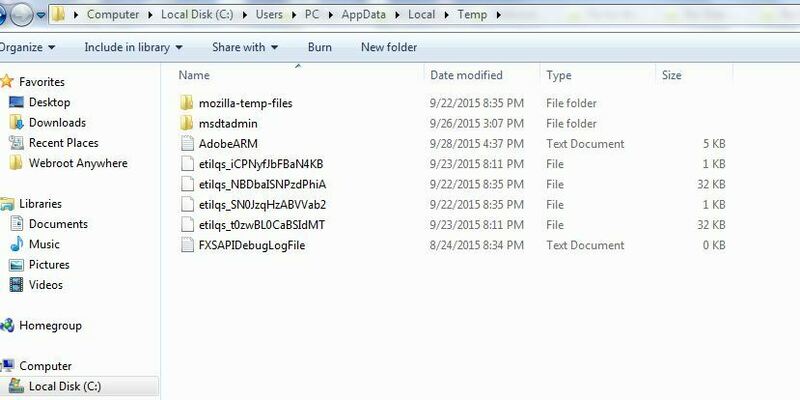 the use of Webroot, but I have found a solution for quickly removing these files, each time I log onto my computer. and it will show the the amount of space that was returned to your computer. Hope this helps someone. Thanks for the 'tip' however that will only work for users runningnthe Complete or Gamer versions of WSA as they are the only ones that include the Optimizer feature. The standard Antivirus and Internet Security Plus version do not include it. obviously used in the password protection program. I have no reservation about deleting those. Pity. They should consider adding the Optimizer option to all WSA versions. I switched from WSA ISP to AV because I didn't want another password manager, or mobile protection, but I still have the lptmp files? If you are using AV then you will not have the lptmp files. I started out with the AV version and can't say I missed having the Optimizer as I always use Ccleaner which does a very good job of clearing out temp files amongst other things. I very much agree with you, Nemo...CCleaner is far more effective than the System Optimizer...but then again I suspect that the latter was never designed or intended to be a CCleaner rival or alternative. OK, my lptmp files must still be a hangover from when I had Internet Security Plus. I do use CCleaner. Will check it out, maybe I need to add a rule.